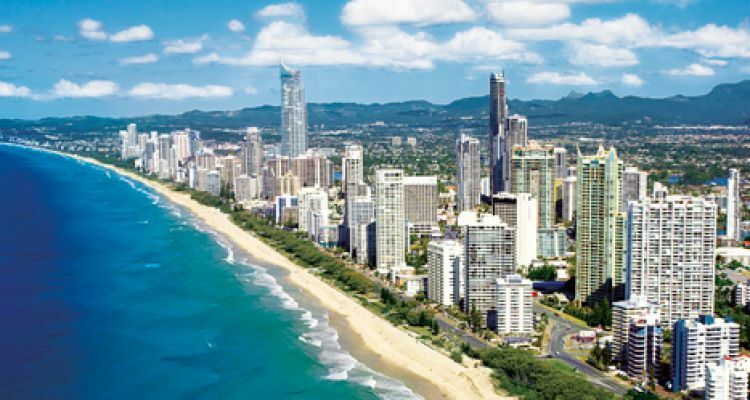 ARRIVE BRISBANE – TRANSFER TO GOLD COAST "SURFERS PARADISE"
Arrive at the Brisbane airport, and transfer by coach to Gold Coast hotel. Arrive at the hotel and check in. Rest of the day free for leisure on your own. Overnight at the hotel in Gold Coast. After breakfast proceed for the visit to Sea World -a marine mammal park with Oceanarium and has animal exhibits. Overnight at the hotel in Gold Coast. After breakfast, proceed for the visit to any one (Dream World or Movie World) of the theme parks by coach. Dream World is the largest theme park with 27 rides and is made up of several themed lands. While Movie World is a popular movie related theme park with movie characters. Return hotel transfers to the any one of the park will be provided. After breakfast, check out from the hotel and transfer by coach to Brisbane or Gold Coast airport for your flight to Cairns. Arrive at Cairns airport and transfer to the hotel and check-in. Rest of the day free for leisure on your own. Stay overnight at the hotel in Cairns. After breakfast, proceed for the Big Cat Island Reef cruise tour with lunch which specializes in discovering the Great Barrier Reef. Here you can view the wonderful underwater marine life, participate in snorkeling or view the coral life by the Glass bottom boat or semi – submarine tour any option of your choice. Return back. Stay overnight at the hotel in Cairns. After breakfast, check out and transfer to Cairns airport to board the flight to Sydney – One of the Australia‘s best known city. Arrive and check-in at the hotel. Later in the evening join the Sydney Showboat cruise with Indian Dinner cruise. Stay overnight at the hotel in Sydney. After breakfast, proceed for the Sydney city tour which covers Opera House, Sydney Harbour Bridge, the famous Manly Beach, and Darling Harbour. After the tour get down at the Kings Street and proceed to the Aquarium with Mono rail with Sydney tower with the passes to enjoy at own pace. Stay overnight at the hotel in Sydney. After breakfast, proceed for the full day tour to Blue Mountain tour with Wild Life Park which includes visit to Echo point, Katoomba, Three Sisters rock formation. Later proceed for light lunch and return rides at the Scenic World on the cable way and Scenic railway. Also visit to the Featherdale Wildlife national park where you can click photos with cuddly koalas, kangaroos and cute little penguins. Today morning after breakfast, check out from the hotel and transfer to the airport for your flight back home bound.